I have gotten into tea since moving to Asia. No longer a die hard coffee drinker, I enjoy herbal teas, black teas…hot or iced. Something about it feels lighter to me in this climate. And when I travel, I am fascinated by the various tea cultures that exist in Asia and like to take part in as many as time allows whether in China or Japan or Nepal. On a recent trip to Nepal I was excited to try the local Nepalese Milk Tea, or “dudh chia.” It is something reminiscent of an Indian Chai but with a Nepalese twist. We had enjoyed some in out hotel in the morning over breakfast and thereafter I was on a mission to acquire said milk tea and learn how to make it. 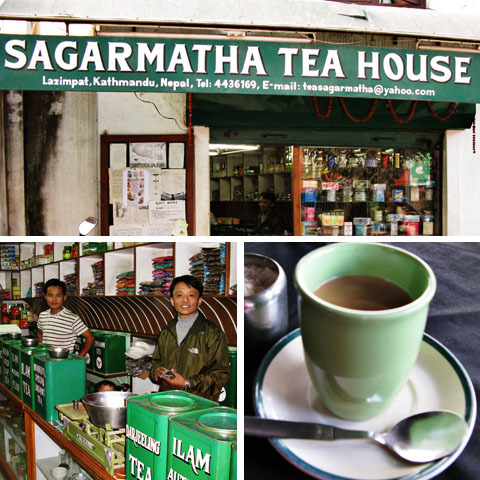 Lucky for me, I stumbled upon Sagarmatha Tea House where we spend a better part of the morning learning about Nepalese tea culture. 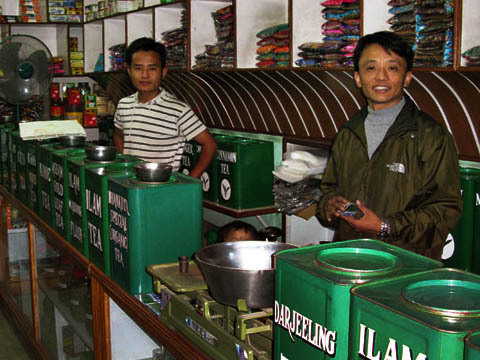 In talking to the brothers Ganga and Navin who run the tea house, we learned that most milk tea (unless made from scratch with cardamom pods, cinnamon sticks, etc.) is crystals. It looks a bit like instant coffee actually and is made on the stove top with milk instead of water. The resulting concoction is a creamy, spicy tea that is oddly both comforting and refreshing. 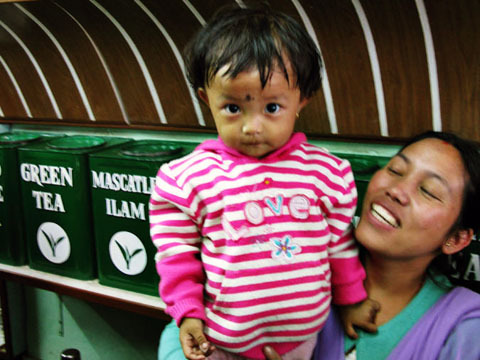 As we relaxed and sampled various other teas (Assam, Lemongrass, Rose, Sencha, Mint and more) we learned about the tea of the Himalayas, met their wife and new baby daughter. They talked to us about their lives, their business and their family. I treasure these kinds of encounters where not only does one learn about the food and the culture but one also connects with the locals. As always, the most meaningful experiences are those shared with people when traveling. 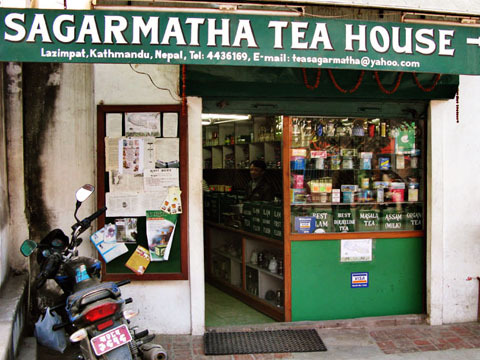 So if you find yourself in Kathmandu, do stop by the Sagarmatha Tea House and sample some teas. They are also selling masala spices with recipes, organic coffees, local honey and tea pots and accessories. And be sure to say “hi” to Ganga and Navin for us. My co-workers will be going in Nepal next week! 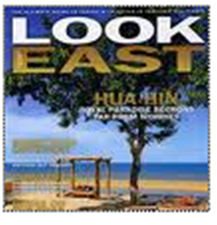 Thanks for featuring the store! I have asked them to drop by there and purchase some tea for me!